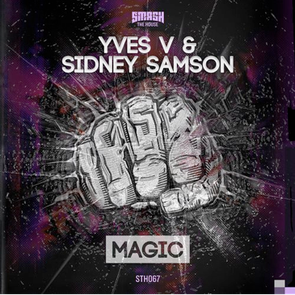 Dimitri Vegas & Like Mike’s Smash The House label has just released ‘Magic’, the new track from Yves V & Sidney Samson. A name synonymous with the imprint since its conception, Belgian artist Yves V has created some of the biggest tracks Smash The House has released to-date, from the Tomorrowland after movie tune ‘King Cobra’, over to ‘Crash’ back in May last year. Joining forces with Dutchman Sidney Samson for ‘Magic’, the pairing encapsulate high-energy euphoria, raging build-ups and drops. Receiving radio support across dance stations including The Netherland’s Slam! FM and Dutch youth station Radio 538, the track is already a biggie for the label. It’s out now and should set both artists up well for 2015. Check it out below.